The New Victoria Silver Sonic! Discussion in 'Builder's & Retailer's Forum' started by Doc58, Feb 27, 2012. My New Custom Victoria SILVER SONIC just Arrived! Folks, I'm Lovin every single minute of it! Best Damn Tone I've ever heard come from a 20 Watt Platform and a 12' Speaker! HUGE! Do yourself a BIG FAVOR...Look into a Vic Silver Sonic! Just look at the Perfection of the Point-to-Point Work by Joann! The Reverb and Tremolo are PURELY 1st RATE! 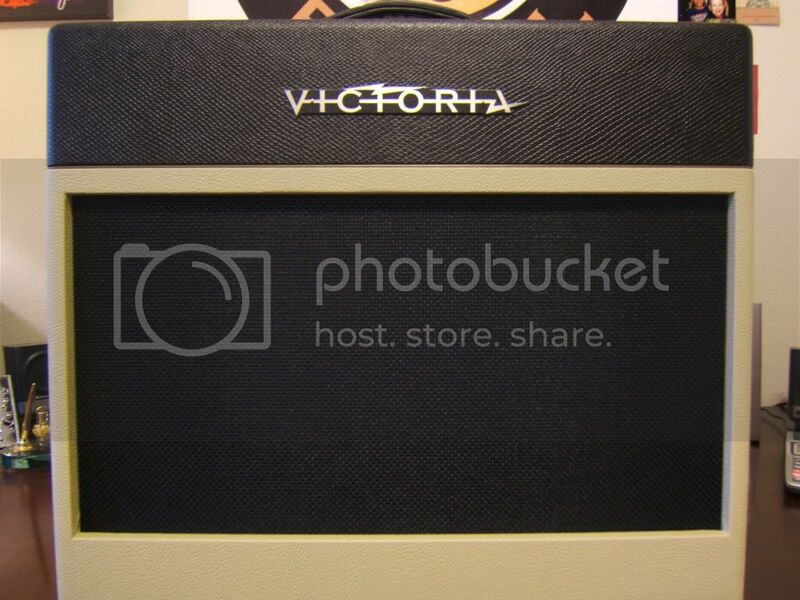 JUST GO TO; WWW.VICTORIAAMPS.COM AND CHECK IT OUT, YOU'LL BE REAL GLAD YOU DID! Congratulations, Doc58! I'm pretty much immune to GAS pains because I own a 35210 -- these SS's though are ever so enticing. Clips would be so very awesome. Can you compare this to a Regal II (at similar wattage) or a Golden Melody? I'm lookin' to add another low wattage single 12 to the arsenal and I'm torn between the Victoriette and the Silver Sonic. 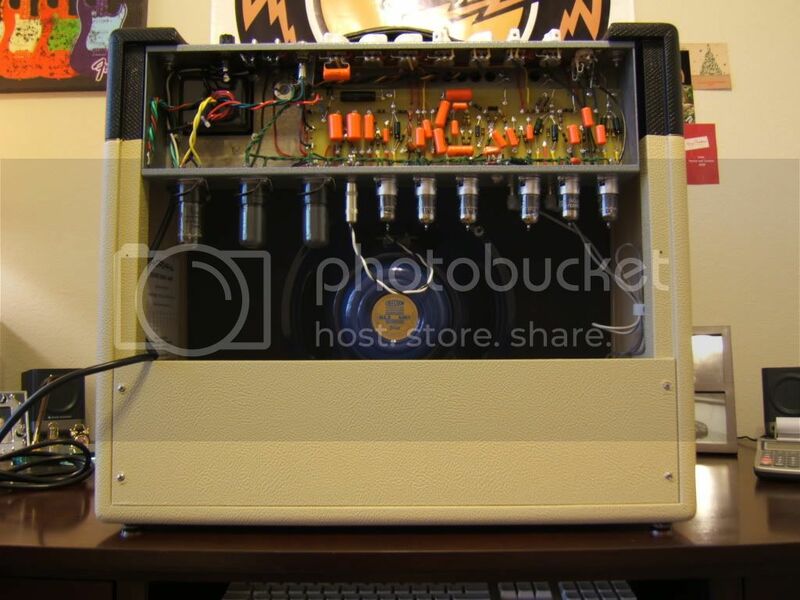 Nice amp. Played a Victoriette 2 weeks ago, and if the Silver Sonic is half that good, I'd be stoked to try one out! Does it come in a head version? Looks sweet! Watched a demo video and that thing sounds delicious too! In Crocodile Dundee voice, "THAT's not point-to-point..."
Wow that is gorgeous! I REALLY need to play one! I'm starting to love this company. Wish I could afford to just buy a Victoria instead of having to hunt down the originals in some instances. Can't wait until they release a DeArmond R15T, a Maggy Tonemaster, and Selmer Zodiac Twin 30/50 in their lineup... please oh please! Sounds fantastic even with the newby speaker. Will get even sweeter as it's played, imagine that!! It is not a GA type design. 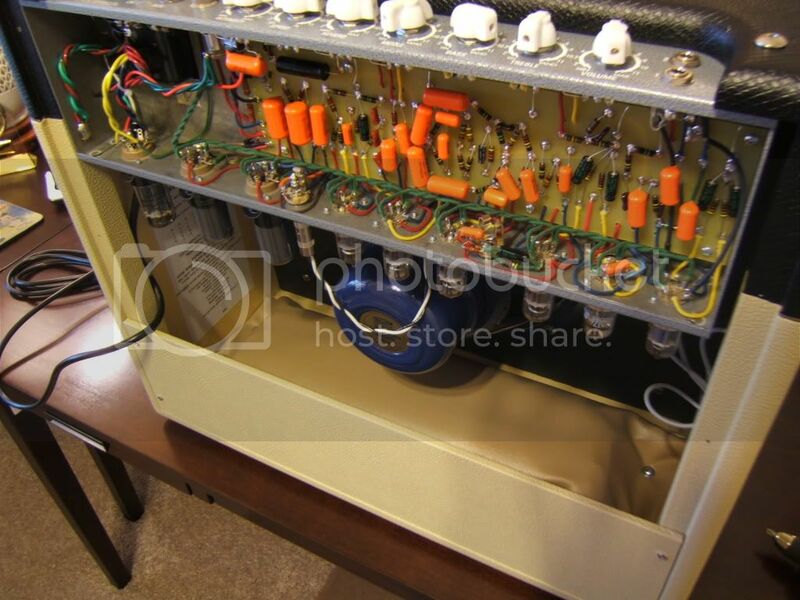 It is a Victoria design that incorporates different classic topologies into one amp. 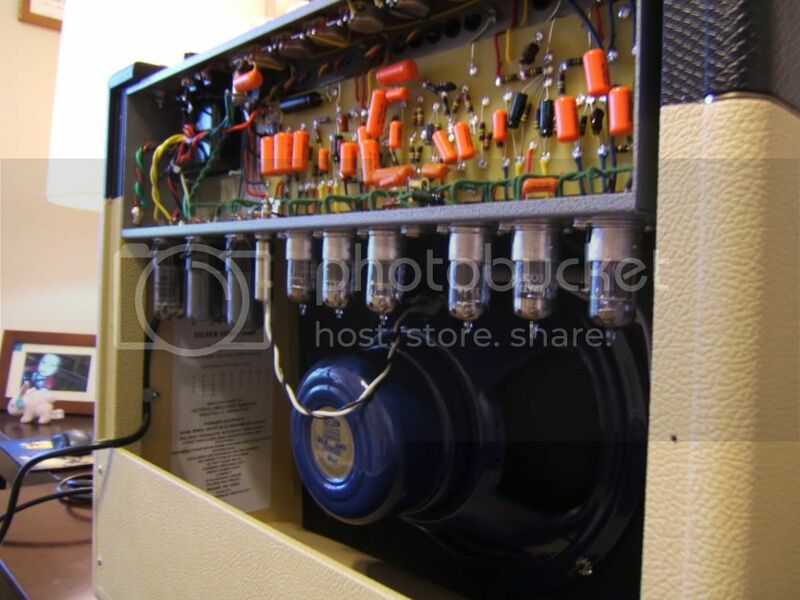 Similar on concept to the Golden Melody amp, but 6V6's and a single 12. Thanks guys! You're the very Best Bisbee! Your Genius brings Music to the Masses! Thanks for all the Magnificent Tone MB! How about a head version for the up and coming proletariat?